An injury to the foot or ankle is not only painful but also inconvenient. An unfortunate fall or car crash may be to blame for an acute injury or one that occurred long ago. Frequent problems with feet and ankles may be a torn ligament, foot sprain, strained calf, Achilles tendon issues, heel pain or plantar fasciitis or unstable ankles. Allow Mill Creek Foot & Ankle Clinic to permanently repair your injury with platelet rich plasma injections in Mukilteo that can be completed in one session. Dr. Hall has applied this ground-breaking treatment to more than 100 foot and ankle wounds with success and he is now researching PRP therapy for long-lasting joint arthritis. When the body suffers an injury, a process known as a healing cascade takes place. Damage to tissues is effectively healed in a 3-fold process. The inflammatory phase is evident by redness and swelling in in foot or ankle because of blood coagulating in the area. This takes about a week. Scar tissue and collagen form during the next 2-3 months. The last 6 months of the process produce regeneration or reparation of the tissues involved in the injury and scar tissue is eliminated. When treatment for an injury is not immediately sought, the healing cascade stops and the process is interrupted. The initiation of this quiescent phase results in chronic pain and an injury that is never completely mended. The healing cascade can begin anew with the injection of platelet rich plasma, starting over with the inflammatory phase. Total healing is the welcome outcome. PRP therapy is essentially a 3-step process itself. Blood drawn from your arm is spun in a centrifuge which separates the platelet rich plasma from whole blood. 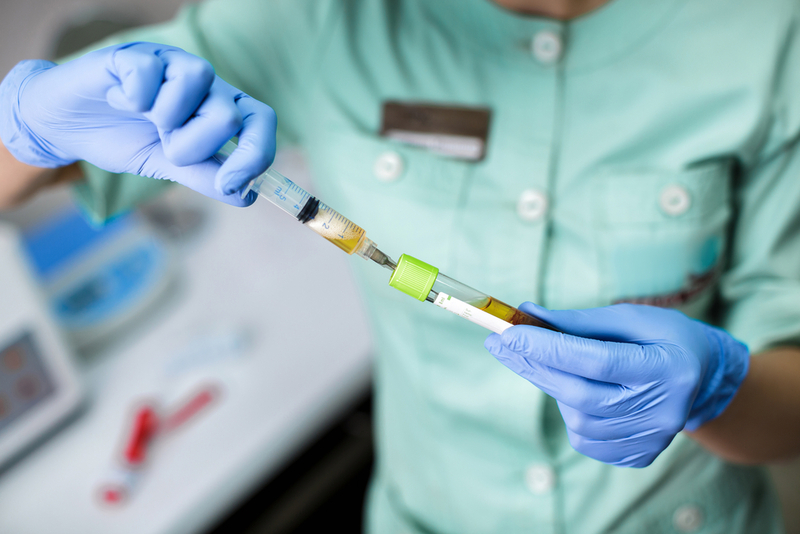 Your injury is anesthetized and the PRP injected right into the damaged tissue. Your foot and ankle are immobilized in a boot for 1 month to encourage the treatment to commence. Learn more about platelet rich plasma injections in Mukilteo for your wounded ankle or foot and make an appointment by calling Mill Creek Foot & Ankle Clinic at (425)482-6663.